Everyone loves a little bacon! 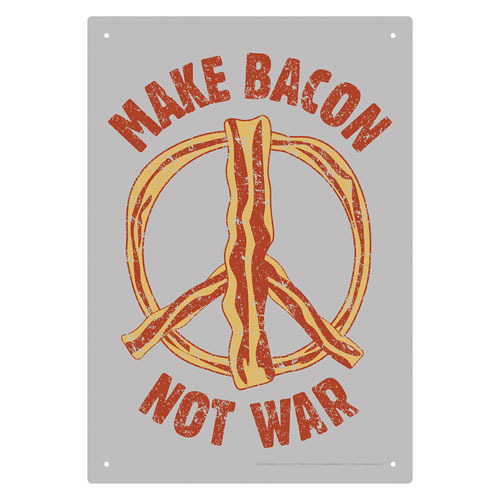 This Make Bacon Not War Tin Sign measures approximately 8-inches x 11 1/2-inches. Spread a message of love…crispy, delicious love. For ages 12 years of age and older.